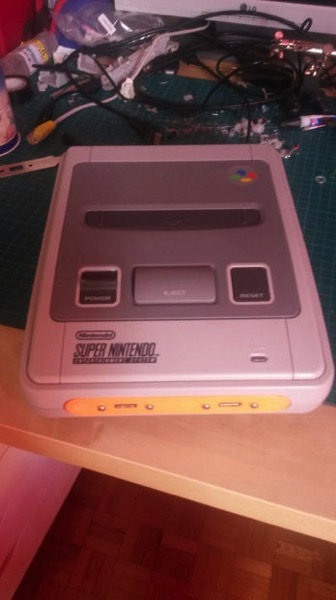 Pi SNES Project @Raspberry_Pi #piday #raspberrypi « Adafruit Industries – Makers, hackers, artists, designers and engineers! Nice build and tutorial from instructables user sacha88. I purchased an old non functional SNES and decided to put a Raspberry Pi inside to transform it into a retro-gaming emulator. The project is simple: graft a new heart to an “out-of-order” SNES. In order to modernize the controllers to play with other consoles and minimize the SNES destruction, I 3D-printed a new front panel. This making didn’t require many electronic or computer skills. It ‘s more like a lego building.